All set for the party, but then that old pair of shoes doesn’t look great with your new dress. Do not feel low, as it is not really tough to get a new pair in a jiffy with utmost ease and rock the event. A woman enjoys a special bond with her shoes and makes sure she has a pair matching each outfit that she has. Every occasion demands a new style and with every new style comes a new kind of shoes. Be it heels, flats, sneakers, ballerinas, wedges, sports shoes - women have them all and they can still make some extra space for a few more. Afterall shoes reflect a person’s personality and everyone likes to have an impressive aura. When it comes to buying footwear, women are quite specific about the style, the design and the pattern. They often go from one shop to another hoping that they will find the perfect fit but are often disappointed. To spare their time, energy and money and to ensure they get that one footwear they've been looking for, there are a number of online stores. One can shop for shoes online as one finds a plethora of options and is never disappointed. From running shoes for women to women’s slippers, women’s sandals, women’s boots, one can find them all online. There are a number of e-stores which offer you an entire range of shoes. You can go to these websites and choose your favorite shoes according to your foot size, color, preferred style, etc. For better results, one can use filters. If you wish to pick a pair matching your dress, you can simply choose a style and pattern which best matches your outfit, select your budget and get the best results. You will find a wide range of products at low prices too. 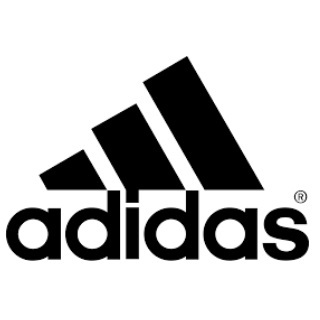 The market is flooded with numerous well-known shoe brands like Adidas, Nike, Bata, Marie Claire, Vans, Puma, Carlton London, Catwalk, Lavie, Liberty, Metro, Mochi, Citywalk, Khadims amongst many more. Some of the websites to get shoes online are Amazon, Flipkart, Snapdeal, Jabong, Myntra, Shopclues and a lot more. Wedges are shoes with their sole in the form of a wedge. The heel and the sole of the shoes are made of a single chunk. Though the design of a wedged heel pair of shoe dates back to ancient Greece, they still are very much in vogue. The wedges worn by women have backs thicker than the front part. They were introduced in the market in the 1930’s by Salvatore Ferragamo, an Italian shoe designer. Those who are in a look out for heels but are not very comfortable with the idea of walking in despair can pick up wedges as that are not just fashionable but also comfortable. Wedges can be found in different kinds of footwear like boots, platform boots, heels, and low-heels. The height of the wedges can range from as low as few centimeter to as high as eight inches. One can choose wedges according to their style, color, material, occasion, and height. Wedge boots are great for winters while wedge sandals can be paired with both western and Indian outfits. If you are looking for something that can be worn with dresses and skirts, you can pick up a pair of casual wedge shoes. A white wedge sandal will add to your dashing looks when paired with pastel color dresses. Wedges in colors like black and brown can also serve as great office footwear. So if you own black wedges or brown wedges, you can definitely pair them with your formals. Online stores are full with wedges and you just cannot take your eyes off them. Right from boot wedges to wedge heeled sandals, espadrille wedges, closed toe wedges and flip-flops wedges, everything can be found online. Some of the most trusted stores that offer you products at great prices are Amazon, Flipkart, Snapdeal, Jabong, and Myntra. They have wedge heels in different sizes and for different occasions. You can find wedge shoes in different colors and style too. Wedges offered by brands like Catwalk, Carlton London, Lavie, Clarks, Tresmode, Mochi, Pavers England, Steve Madden and Hush Puppies help you create a style statement. Heels is an abbreviated term used for high heeled footwear. Walking in your mother’s heels is something all women can relate to. Not just girls but even boys would try balancing themselves in those high heeled sandals. The idea of looking taller than usual excites every woman. 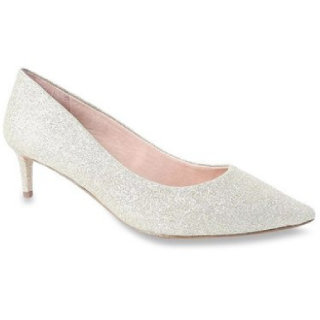 When it comes to wearing heels, one is reminded of the beautiful Marilyn Monroe in her stunning white heels. Heels add to a woman’s personality. They make her legs look long and sensuous. No wonder, they have a huge fan following and are a part of every woman’s closet. A woman can do all that a man can, that too in heels. And for such women, there are more than twenty different types of heels. Depending upon the height there are mainly three types of heels: high, mid and low heels. So here is a little idea about the looks and style of different heels. Kitten heels are a combination of style and comfort. They are an example of low heels. Pumps are usually wider and offer 2-3 inches to your height. They have pointed ends and are a kind of high heels. Stilettos are the highest of all the heels and can add up to 8 inches to your height. Wedges look quite different from other types of heels as they do not have any gap between the heel and the sole. Platform heels are considered a more comfortable form of heels as they have a little height difference between the toes and the ankle. High heel boots are great for winters as they do not just add to your style but also keep your legs warm. Another important type of heels is spool heels. They are broader at the top and base and narrow in the middle. There are many more types of heels apart from these. There are a number of online portals that boost about their vast collection of gorgeous heels. Some of the websites that may come to your rescue while you are trying to find your perfect match are Amazon, Flipkart, Snapdeal, Jabong and Myntra. They have in their list different types of heels and heels suited for different occasions. You can even choose the type of heels according to your outfit. Boots are a type of footwear that not just cover your feet but also your ankle and sometimes go upto the knees. Most of the times, these boots have heels. Initially, boots were made of leather or rubber, but nowadays they are made of cotton, canvas, faux fur, faux shearling, felt, fur, jute, leather, rubber, velvet and wool. Boots are mostly worn during winters as they keep your legs warm. Some boots are worn by those who work on farms and in factories as a prevention from foot injury. From being utility footwear, boots have now become a part of one's everyday fashion. They can be worn at work, or while you are partying, or even when you are shopping your heart out. Pair them with any western wear and you become the fashionista of the town. There are a plethora of boots available in the market these days. From ankle boots to thigh high boots, you will find them all at various offline and online stores. Boots are also found in different types of heels. So if you want to add style to your boots you can go for kitten heels, wedge heels, cone heels and block heel boots. The height of the heel may vary between 3 centimeters to 12 centimeters. Boots in different colors from subtle black, brown, gray, blue to bright ones like red, pink, neon and golden can be found in the market. The designer boots have beautiful patterns on them that make you look chic. While some boots have a zip closure, other have laces and straps. Women boots can be bought online at a number of web portals like Amazon, Snapdeal, Flipkart, Jabong, Myntra, Shopclues, etc.. They have a wide range of boots available in different sizes and styles. You can place your order online and make the payment either via cards or can choose for cash on delivery. You also have the freedom to return or exchange the product if you are not satisfied with it. Who doesn't like comfort? And when that comfort is paired with style, the match is heavenly. Casual shoes make our lives fabulous by providing us with feet friendly comfort and keeping us in vogue. A part of every woman’s closet is dedicated to casual shoes. Be it sports shoes, loafers, flats, kittens, sneakers, moccasins or any other type of casual shoes, one can carry them well with all types of outfit and in almost every situation. Made of varied materials like nubuck, leather, denim, suede fabric, and jute, these shoes have a chic look and are available in different designs and patterns. When it comes to different types of casual shoes, the list looks endless. While sports shoes, running shoes, sneakers offer a firm grip to your feet, there are sandals, kitten heels, peep toes and wedges that make your feet look pretty. The latest trend of pairing your short dresses with sneakers looks fantastic. Loafers and moccasins are shoes that work perfectly well with western outfits like denim and trousers. If you are someone who likes to wear heels but are scared of sore feet, then a pair of kitten heels is what you need. The ones who recently got their pedicure and want to show off their beautiful feet and nail art can go for strappy sandals and peep toes. With so many designs and types, it is time to pamper your feet with some stylish and comfy casual shoes. Hopping around from shop to shop in the scorching sun may get you your favorite shoes, but it will surely drain all your energy. So why put yourself through that physical torture? You can shop for casual shoes online from any of the portals like Amazon, Flipkart, Snapdeal, Jabong, Myntra, Shopclues, etc. They spoil you for choices with their wide range of products. Whatever be your wish, they are fulfilled at these stores. Some of the brands to look out for while buying casual shoes are Carlon London, Vans, Converse, Catwalk, Adidas, and Hush Puppies. Whenever we meet new people, one of the very first things that we notice is their footwear. It is believed that shoes reveal a lot about your personality. The last thing one want to do is wear a wrong pair of shoes with a stunning outfit. Courtesy to e-commerce websites, finding a right pair of shoes has become hassle-free. All you have to do now is swipe left or right on your smartphone to know which footwear style is trending the world. Another perk of shopping online is several footwear stores and brands spoil you with a plethora of lucrative women footwear coupons and discounts. And, how can one forget about attractive footwear sale where everyone can shop for women footwear online, without thinking about the budget. Style talks are incomplete without the mention of footwear. Popular brands like Steve Madden, MFT Couture, and Vans are already rocking the world of women’s footwear on AJIO. If you are interested in a purchase of boots, heeled shoes, or flat sandals from AJIO, don’t forget to look for lucrative AJIO offers on women’s footwear. Earn a minimum discount of 30% on women’s shoes, flip flops, heel sandals and more on AJIO. A flat 64% off is available on AJIO Exclusive brand women shoes, provided the purchase amount is above Rs. 2290. In order to avail the offer, use the AJIO promo code “FAST64”. Hurry up! This flash sale is for a limited period only. AJIO is giving an extra discount of 40% on all products worth Rs. 2290 or above. This exclusive offer is applicable only on AJIO exclusive products. Don’t forget to use the AJIO coupon code “AJIO40”. On using the coupon code “AJIO63”, women can earn an instant discount of 63% on footwear. The minimum transaction amount to avail the offer is Rs. 1,990 or above. Make use of the AJIO exclusive offer code “FLASH58” to grab a flat 58% off on a purchase worth Rs. 2,890 or above. It is a limited period offer. If you are planning to gift a stylish pair of footwear to your girl, visit the AJIO website. Using the coupon code “FORHER63”, you will get 63% off if your order value is Rs. 2,790 or above. This flash offer is for a limited period only. An additional discount of 20% is available on AJIO footwear for women. Use the coupon code “OUTLET20” to avail this offer. Looking for ladies sandals on Amazon? If so, grab the available Amazon promo codes for shoes today. Such lucrative offers make your shopping affordable and let you buy things without worrying about your budget. Get 40%-70% off on Women’s footwear on the Amazon platform. Additionally, you can earn an instant discount of 5% using the HDFC bank card. Purchase your favourite shoes on Amazon and pay using BHIM UPI or Rupay card to earn 10% cashback. The cashback amount will get credited to the Amazon Pay account within 15 days from the date of the transaction. Amazon is offering an instant cashback of 50% on your first online payment. Maximum cash back that you can avail using this offer is Rs. 100. 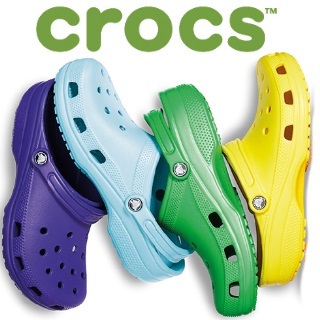 A minimum 50% of is available on popular brands like Crocs, Metro, Carlton London, and Puma on Amazon. No women footwear coupons are required to avail this offer. When it comes to shoes, one of the most trusted brands is Bata. This is a one-stop destination for women, men, and kids from where you can shop for footwear of all types like party, sporty, casual and formals at the lowest prices. On using the Bata offer code “BATATHIRTY” you can avail a flat 30% discount on women’s footwear. Additionally, you can grab an extra 11% off on your entire purchase. Hurry up! This offer is for a limited period only. During Bata end of season sale, you can grab up to 70% off on your purchase. On the Flipkart platform, you can easily grab 20% off on Bata women’s footwear. A flat 30% off is available on Bata when you use the women footwear coupon code “LATEST30”. An extra discount of 25% awaits for your at Bata. Use the women footwear promo code “BATAONLINE25” to grab the Bata deal. Bata sandals are available for a flat 30% off on using the coupon code “BATAFANCY30”. 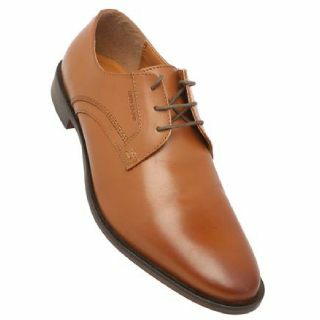 If you want to purchase formal shoes, you can take advantage of Bata formal shoes 25% off offer. At the time of purchase, enter the coupon code “BATAFRML25” to earn the discount. Are your planning to buy new heels? Avail a flat 25% discount on sandals from Bata. Make sure to use the coupon code “BATACLASSY25” at the checkout. Earn a flat 30% discount on sneakers on using the coupon code “BATASTAR30”. If you are a fan of online shopping, you must have shopped from Flipkart, the leading e-commerce website in India. Here, you can purchase whatever you want to and that too at discounted prices. 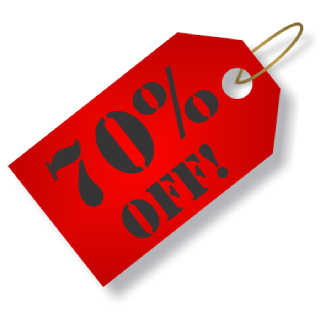 Also, users can utilize various discount offers to make their shopping budget-friendly. If you are looking for ladies sandals on Flipkart, grab the 20% deal where you can purchase a combo pack of two sneakers at a flat discount of 19%. Not just this, you can even avail an additional 10% off on selected footwear on Flipkart. Purchase women’s footwear at Flipkart and pay via Mastercard to grab 10% instant discount. No Flipkart coupons for Women footwear are required to avail the discount. Also, This offer is valid on first online payment only. Talk about contemporary style and Jabong will top the list for sure. 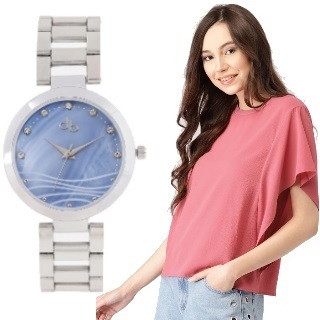 If you want to buy something unique, explore the Jabong website. 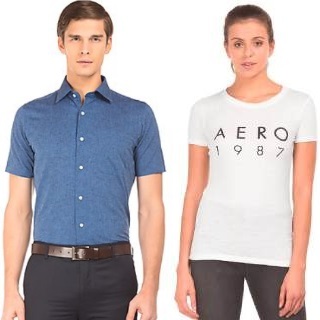 Besides trendy apparels and footwear, you will come across amazing Jabong discount offers. If you are shopping at Jabong for the first time, enter the code “WELCOME601” at the promo code box at the checkout to earn Rs. 601 off on your first purchase. The offer is applicable only when the minimum purchase amount is Rs. 1,199. On using the Jabong women footwear coupon code “RUSH15”, you can earn a maximum discount of 57% on the MRP. This Jabong offer is available only when the order value is above Rs. 2,999. Shop for women’s footwear at Jabong and pay using your Standard Chartered bank card to earn 15% cashback. Maximum cash back that you can earn using this offer is Rs. 750. Also, the minimum spending amount should be above Rs. 3,000. Use the Jabong coupon code “WESTERN15” to earn an exciting discount on your shopping. This discount offer is available on all orders on the Jabong platform. If your women’s footwear purchase on Jabong is above Rs. 2,499, use the promo code “WELCOME1001” to earn a discount of up to Rs. 1,001. Are you looking for ladies shoes online? If you are, you must try Koovs, one of the leading women footwear shopping destinations in India. Here, you will come across women footwear sale from time to time, therefore, you can easily shop under your budget. Earn up to 30% off on selected women footwear on Koovs. No Koovs women footwear is required to avail the offer. Get up to 50% off on women footwear like casual shoes, flat sandals, boots, heels, and more. This 50% Koovs women footwear offer is for a limited period only. One place where you will find trending ladies footwear with the best price is Limeroad. No more you have to think about spending much on shoes, as Limeroad offers you amazing discounts and lets you shop your heart out. Limeroad is offering up to 60% discount on all products, including ladies shoes and sandals. And, if you pay via Paytm e-wallet, you will earn an extra 5% off on your purchase. Limeroad takes care of your budget and for this, it offers Buy One Get One free offer on ladies sandals and shoes. Now, you can shop for women footwear online freely. Is Mochi your favourite brand or do you want to add a pair of Mochi footwear to your wardrobe? If yes is your answer, purchase Mochi women’s footwear at up to 50% discount on Limeroad. Metro Shoes is the perfect online destination for all the shoe lovers. On this online platform, you can easily take your pick from top-notch brands like Princess, Signature, and DaVinchi. Up to 50% off is available on women footwear at Metro Shoes. You don’t have to use any women footwear coupon code to avail the offer. Metro Shoes are available on Amazon at a discount of up to 70%. Shop for Metro Shoes at 50% off on TATA CLiQ and enjoy free of cost shipping. Who doesn’t know about Myntra? It is a one-stop destination from where you can pick a unique pair of shoes that go perfectly with your outfit. What else? Myntra surprises you with exciting women footwear sale every now and then. Make a purchase of Rs. 2,499 or above on the Myntra platform to earn an exciting discount of up to 35% on the MRP. In order to avail the offer, use the promo code “SAVE10” at the checkout. New Airtel Money users can earn an additional discount of 10% on their women footwear purchase at Myntra. No women footwear coupon code is required to avail the discount. Pay using your Mobikwik wallet at Myntra women footwear section to get your hands on 10% SuperCash. The cashback amount will get credited to the user’s Mobikwik e-wallet after the purchase. Get up to 30%-40% during Myntra women footwear sale. No discount promo code is required to get your hands on discounts during this fantastic sale. Myntra is giving a special discount of Rs. 500 on all women footwear worth Rs. 1,499 or above. In order to avail the offer, use the promo code “MYNTRANEWW500”. Talk about cashback and Paytm is the first thing that crosses our mind. Paytm Mall is the cheapest online shopping platform where you get to win wonderful cashback amount on your shopping bill. On the Paytm Mall, you will get a minimum discount of 30% on popular women footwear brands like RedTape and Catwalk. No Paytm Promo Code for Women's Footwear is required to avail the offer. Use the Paytm Mall coupon code “FOOT200” to earn Rs. 200 cash back on your purchase. However, to avail the offer, the cart value should be above Rs. 499. Earn a flat discount of 5% on women’s footwear shopping at Paytm Mall. Make sure to use the coupon code “SHOE5” at the time of the transaction. If you are more into sneakers, sports shoes, and trainer, Puma is the best brand. Besides, from its official website, you can shop for Puma women shoes from different e-commerce websites like Amazon and Janong. Amazon is giving you up to 70% off on Puma shoes for women and an additional discount of 5% when paid via HDFC bank card. Get your hands on a discount of up to 45% on Puma women footwear on the Flipkart platform. Hurry up! This offer is for a limited period only. For the latest collection of Puma trainers, running and sports shoes for women, visit Jabong. Here, you will get up to 70% off on Puma brand footwear. Looking for Puma Hybrid shoes? Find them on TATA CLiQ at an exclusive discount of 60%. Snapdeal is the best place to look for astonishing deals on ladies shoes online. This online platform lets you choose ladies sandals & shoes from hundreds of shoe brands including Lavie, Metro, Crocs, Mochi, and more. Shop at Snapdeal for women footwear and pay using Bank of Baroda credit card to earn an instant discount of 15%. In order to avail the offer, the minimum transaction value should be above Rs. 1,000. Snapdeal is offering an instant 10% discount when payment is made via HDFC credit card. Along with this, users will earn 5X rewards on their card. SBI bank cardholders can earn an instant discount of 10% on purchasing women footwear online at Snapdeal. If you make payment via HDFC bank Debit card to buy ladies sandals on Snapdeal, you can win an instant 10% off along with 5% cash back on your card. Shein is a popular e-commerce platform which mainly focuses on women’s fashion. If you are planning to purchase a new pair of heels, explore the world of Shein before going anywhere else. New users can avail an instant Rs. 200 off on their first purchase at Shein. And if the order value is above Rs. 1,800, the shipping is absolutely free of cost. On your first order of Rs. 2,000 or above at Shein, you get flat Rs. 200 off. Don’t forget to use the promo code “SHEI200” before the payment. Use the women footwear coupon code “NEWIN200” to earn a flat Rs. 200 off on all purchases worth Rs. 2,000 or above. This offer is valid on first order only. Shein is promoting Gearing up for Black Friday offer, where users can earn Rs. 200 off on orders above Rs. 2,600, Rs. 300 off on orders worth Rs. 3,300 or above, and Rs. 620 off on all orders of Rs. 5,200 or above on using the promo code “BLA200”, “BLA300”, and “BLA620” respectively. If you are among those who love online shopping, ShopClues is where you need to buy women footwear from. This budget-friendly online bazaar offers you a plenty of women footwear coupons and discounts as well. If you want to purchase women shoes from ShopClues, use the promo code “PREPAID80” to get a flat discount of Rs. 80 on prepaid orders worth Rs. 149 or above. This offer is for a limited period only. Shop for women footwear below Rs. 499 on the ShopClues platform. No women footwear promo code is required to avail the offer. Get 60% off on women’s Slippers, Sandals, Floaters, and Formals from famous brands like Liberty, Action, Khadims and Sparx on Shopclues. If you want the latest styles and amazing offers at the same time, shop from TATA CLiQ. Here, you will enjoy shopping for women’s footwear at discounted prices. Shop at TATA CLiQ Happy Feet Sale and get your hands on 50%-80% discount on women shoes and sandals. TATA CLIQ is giving a flat discount of up to 70% on Catwalk shoes and heels. No coupon code is required to avail the offer. A great way to shop for best women’s shoes online is through GoPaisa. A platform where you can find great deals, discounts, cashbacks and offers on your favorite brand of shoes.